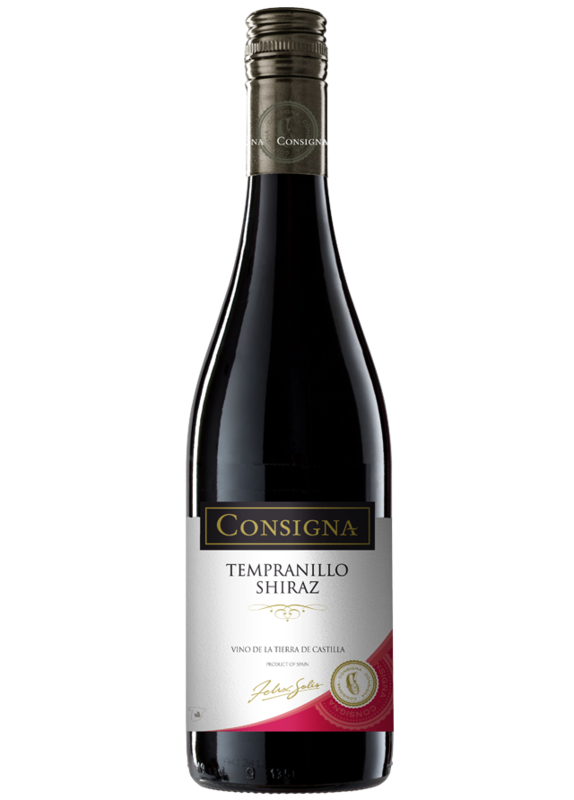 Consigna is made from a coupage between Tempranillo and Shiraz grapes The grapes reach their perfect ripeness level thanks to the essential heat of the day and the low night temperatures. Deep red colour with purple tones. The bouquet combines the aromas of red and black berries. On the palate, this wine shows a perfect blance of tannin and fruit with a rich texture. A perfect accompaniment to rice, pork and lamb dishes. The ripening process of the grapes is strictly controlled while on the fields to determine the optimum harvesting moment that yields grapes with a perfect balance of sugar content and acidity. Then, the grapes undergo a cold maceration period for 3 or 4 days. Fermentation takes place at a controlled temperature in stainless steel tanks that never rises above 25oC for 6 to 8 days. The result is an elegant, well-structured wine that is designed to be consumed young.